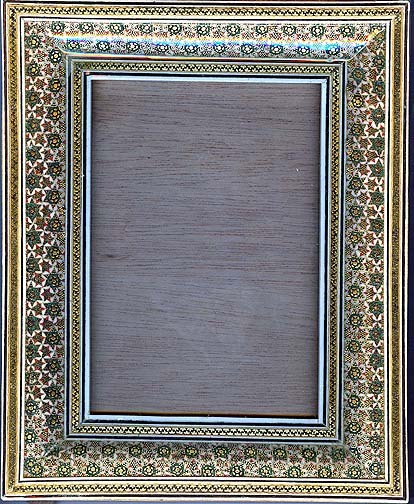 This great khatam inlaid frame is the perfect decorative accent for your favourite prints or personal photos. There is inlay on the front and the sides of the frame. The back is varnished wood. Dimensions: 20 cm x 25 cm (8” x 9.75”). Display area: 11.5 cm x 16.5 cm (4.5” x 6.5”) (holds a 4" x 6" photo).